Emotions have been boiling over in California as the decade-plus process of implementing the Marine Life Protection Act is finally coming to fruition. The end-game is the establishment of a series of reserves off the California coast. And while the state has a number of existing protected areas, they’re mere specks in comparison. The new network sets aside 16 percent of the state’s coastal waters, which scientists hope will stave off the effects of overfishing by creating safe-havens for fish and other marine life free from fishing. Many fisherman, perhaps predictably, are questioning the reserves’ ability to both protect ocean life and boost catches. On one hand, they say the 16 percent target is too much, that it takes away too many of their favorite haunts. But on the other, they say 16 percent is too little, that the ocean needs systemic protection if there are to be any benefits at all. In a way, they’re right about the latter point. Human pressures have pushed a seemingly inexhaustible resource to the edge, and the best way to protect the ocean is an all-in approach. Short of that though, something needs to be done, and a network of marine protected areas is a good first step. It’s true that marine reserves will remove a chunk of California’s coastal waters from fishing, but scientists supportive of the network say the protected areas will export fish to non-protected waters, creating more sustainable fisheries. Though some fishermen question this claim, research largely supports it. Population density and diffusion are the name of the game. The barrier between the reserve and the rest of the ocean is porous—if the habitat is the same on both sides of the border, nothing is keeping the fish in the reserve except perhaps their own unwillingness to leave. One source of that unwillingness may be fishing pressure, but eventually densities will reach a point where fish are forced to venture out into unprotected waters. At that point, they’ll be fair game for the fishermen. The reserves would act as environmentally friendly fish farms, in a way, and research confirms that they can function as such. 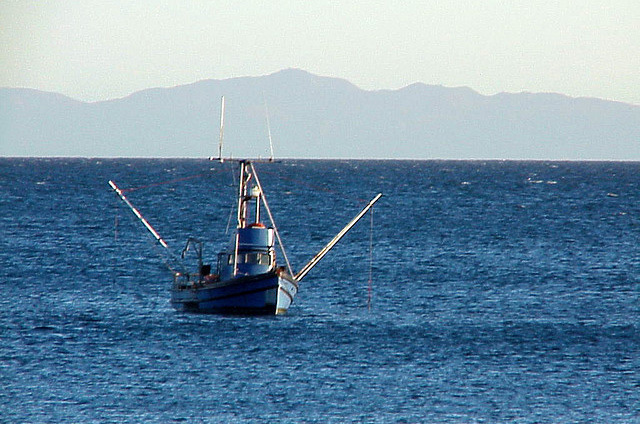 For example, small-time fishermen off the coasts of St. Lucia and the west coast of Spain reported higher catches near reserves. A potential caveat, though, is the size of the fish that wander out of the reserves. As population densities increase within the protected areas, some fish may not reach their full potential. Think of goldfish in a fishbowl. With a smaller bowl or more companions, goldfish tend to stay small. Upgrade their digs, though, and that quickly changes. One study sought to test that idea by modeling a hypothetical fish based on the European plaice, a species caught commercially in the Mediterranean and North Atlantic and one that reaches different sizes depending on density. Indeed, the model predicted that smaller fish will result from denser populations. With marine protected areas, the total tonnage of fish caught may remain the same, despite an increase in the number of fish caught, the study’s authors said. Still, the model’s results depend on the type of fish, and the authors did not conduct a corresponding empirical study (though they did cite two papers that supported their findings). Protected areas may not hold growth back for all species, however. Another paper—this one with field data from Florida—reported that more world record-sized fish were caught in waters neighboring reserves than in the rest of the state. Most studies find marine reserves benefit fish stocks, but one in particular says they are absolutely necessary to stave off the collapse of fisheries. Like many other studies, it found that protected areas raised populations enough to mostly or fully offset any shortfalls in catches that resulted from closing parts of the ocean to fishing. This paper went further, though, and reviewed studies of 14 different of fisheries around the world, concluding that all but two would be unsustainable without reserves. Part of the strength of California’s marine protected areas is the fact that they are a planned network rather than a loose handful of reserves. Individual reserves are beneficial—one study noted many depressed populations bounce back quickly once protected—but a network can aid species that require large swaths of ocean without setting aside tens of thousands of square miles. Networks of protected areas allow fish and other marine organisms to catch their breath, which in turn will likely bring some fisheries back from the brink. With luck, this also means fishermen will be plying the oceans a bit longer.